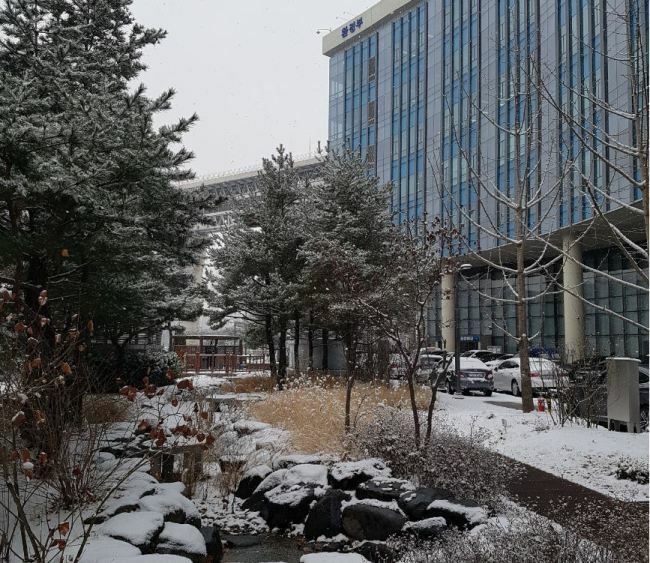 SEJONG - Those headed for the Government Complex Sejong by the KTX high-speed train across the country should now spend another 20 to 30 minutes by taxi or bus from Osong Station in Cheongju, North Chungcheong Province. 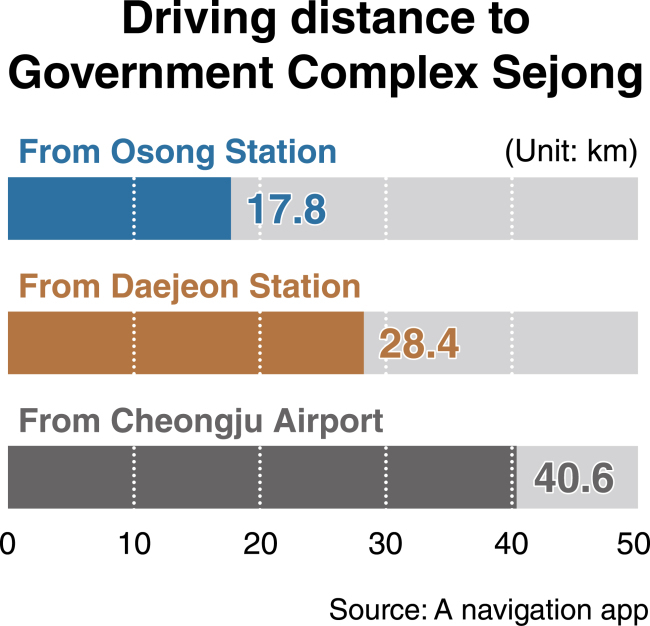 He cited several factors for the necessity of a KTX station -- relocation of two more ministries from Seoul and Gwacheon, Gyeonggi Province, to Sejong, slated for this year, and project to establish a unit of the National Assembly in the city and demand for bullet train use among residents in Daejeon, which is located just south of Sejong. A Yeonseo-myeon resident compared the contrasting situation in the number of consumers visiting large discount chains in Eojin-dong around the complex (a far higher number of people) and Jochiwon-eup, though they have the same brands in Sejong.